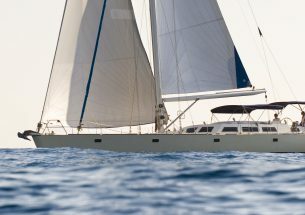 This large catamaran is without doubt one of the best additions to any event. 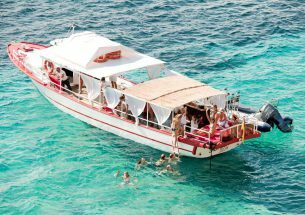 The generous proportions of the boat provide a perfect platform for many types of celebration including, weddings, birthdays, hen & stags, leisure diving, jet ski tours, etc. Lightweight and agile, she is a unique craft. Fully equipped to ensure large groups have the best day at sea. 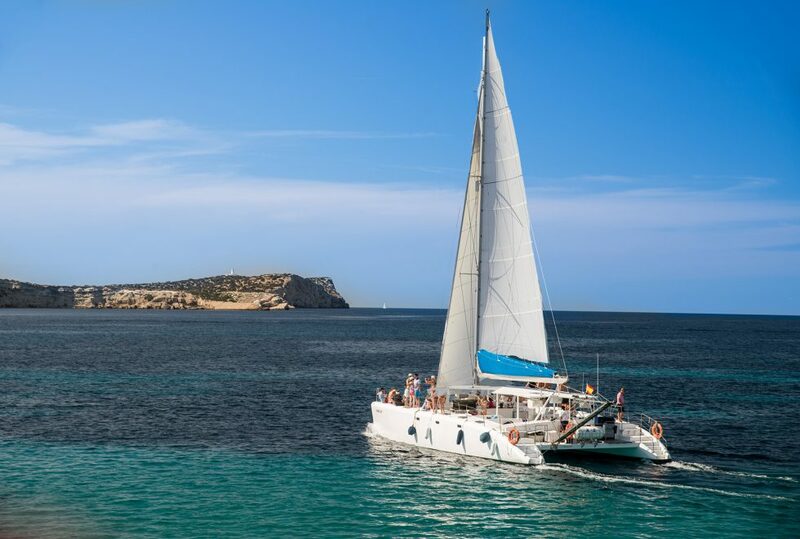 Reaching a maximum speed of 8 miles per hour, the catamaran allows passengers to enjoy sailing and make the most of the beautiful natural surroundings. Facilities include bar and barbecue, solarium, toilets and a professional DJ equipment. All made possible by the large dimensions of the boat 17.8 meters long and 8.8 meters wide. Choose between different menus with the possibility to enjoy grilled meats and fish on the barbecue, paella, homemade burgers, salads, sweets and natural juices. We can cater to most catering requests. The price includes crew, fuel, standard equipment, seat cushions, mooring in base port, full insurance of the boat and personal accident insurance. 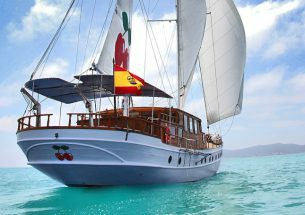 The price does not include food, bar, towels, sound system, DJ, mooring out of base port, or taxes (IVA 21%).